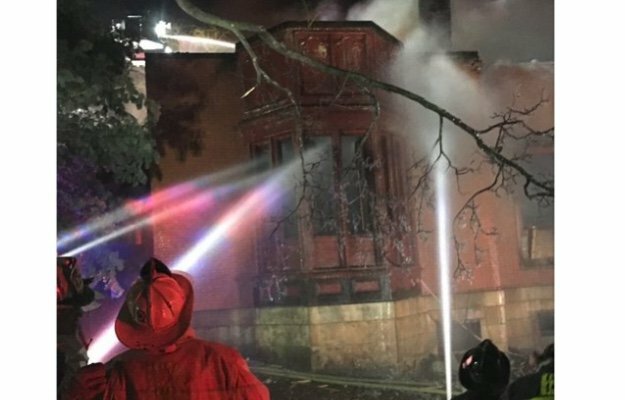 Boston firefighters battled heavy flames in numbingly cold conditions at the Holy Mt. Zion Church in Roxbury early Saturday morning. Fire first broke out at the church on Harold Street in Roxbury around 4 a.m., according to the Boston Fire Department. Single-digit temperatures created difficult firefighting conditions, and photos shared by the Boston Fire Department reveal just how quickly water turned to ice. Sometime around 6 a.m., dispatchers ordered a sixth alarm to call for more crews and ladders on the scene. Firefighters stayed on the scene for more than six hours. The building is nearly 100 years old, according to reports. It is unclear what caused the fire. One firefighter suffered a leg injury and was treated and transported by Emergency Medical Services, according to the Boston Fire Department. No other injuries were reported.